Taps are used by signal booster systems with multiple antennas to balance the signal over the entire system. 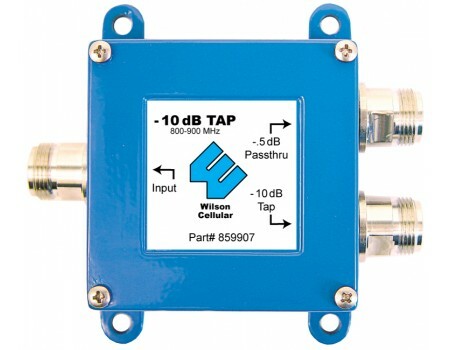 The Wilson 700-2500MHz 50 Ohm -10 dB Tap with N Female Connectors (859907) has one output port with a -10 dB signal loss and another output with just -0.5 dB of signal loss. 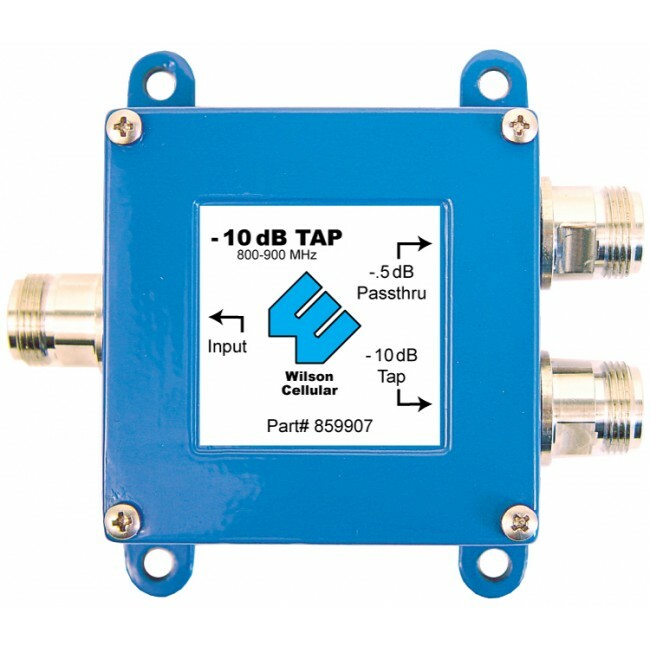 The Wilson 700-2500MHz 50 Ohm -10 dB Tap with N Female Connectors (859907) is used in distributed antenna systems to help balance the signal over multiple antennas. This tap has one output port that is -10 dB weaker than the input signal and a second output port that is just -0.5 dB weaker. The 859907 has N-Female connectors. All taps require extra cables. Typically, you use a short 2 ft Wilson400 coax cable to connect the tap to the amplifier, and then additional cables to connect the internal antennas.